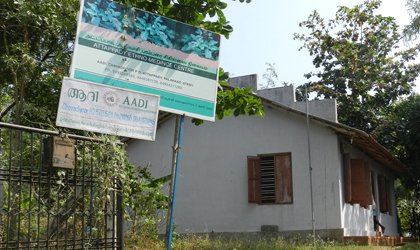 AADI is the eventual shape of the 16 year old Jesuit action with the People of Attapadi. Suitable schedules are planned and carried out by the people themselves. 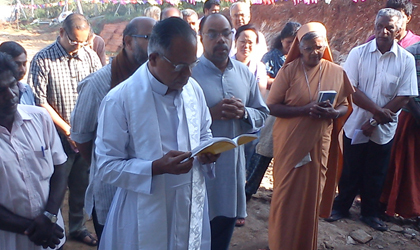 It aims at inherent progress of the Tribals in Attappady. Besides encouraging education, employability and soft skill training it is decided to organize a center for Eco – education through the blooming of an Eco – Reserve for the future generation. AERA set up in 24 acres of land at Mannathukadu next to Silent Valley National Park.It basically emphasis on the evaluation of socio-economic progress made in Attappady and thereby scrutiny the refinement made in the livelihood of the local group specifically the tribal communities. Afforestation, biomass development, conservation of water resources and promotion of sustainable Income Generating Activities (IGA) are attempted through community based organizations. AADI-Tarumitra is a grid for students who are engaged in a movement to protect and promote a healthy environment on Earth. 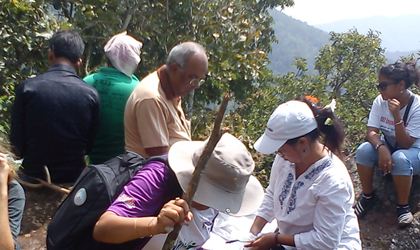 Tarumitra aims to spread ecological reactivity by instructing its members in handling local environmental issues. This helps in stimulating spirituality by organizing for the preservation of bio-diversity. A protected and sustainable environment for all especially the Adivasis, to bloom and flourish. We are committed to be with the Adivasis for their integral development and to preserve mother earth through our ecological interventions to ensure sustainable living conditions for all in Attappady. 1.To promote and preserve culture, language, art forms and indigenous knowledge of Adivasis. 2.To promote eco-friendly initiatives and bio-diverse projects. 3.To network, lobby on and collaborate with eco-justice issues and movements. 4.To empower the tribal youth to be self-reliant, employable and competent. 5.To accompany the students in their educational aspirations and integral development. 6.To facilitate documentation and research on tribal and ecological issues. 7.To encourage alternative health care systems and to preserve indigenous health practices and ethno-medicine.